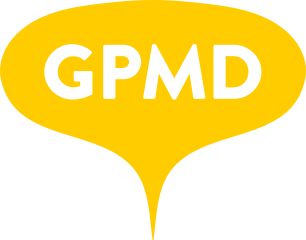 How we manage the day to day workflow – GPMD Ltd. The PMs and Product Owners select task(s) that require action in the coming week(s) from the client's Asana backlog, project or support queue. Tasks and support tickets which have been prioritised for the week ahead will be added to the weekly Sprint Board found under the GPMD Internal Workspace in Asana. Tasks are added to the weekly Sprint Board by clicking on the 'Add this task to another project' option and then selecting the relevant Sprint Board i.e Sprint Board 26-30 Nov. Ensure the task is added to the 'To Do' section. To add a tag, click on the menu icon (...) and select the option 'Tags'. Then, start typing the name of the tag you wish to enter and select the relevant option from the dropdown. It's the responsibility of the GPMD PMs and Product Owners to prioritise the tasks in the weekly Sprint Board. Top to bottom prioritisation. The task at the top being the first priority. When you are done working on a task, move it into the 'In Review' section of the Asana board and reassign it to the Product Owner or PM. If you're unsure whom the PM or Product Owner is, reassign the task to the person who created the task. Then, stop tracking your time. The PM or Product Owner QA's the work. If the task passes testing, mark it as complete in Asana and move to step 2. If the work doesn't past testing, it is reassigned to the developer who originally did the work and moved back into the 'In Progress' section of the Sprint Board. The Support Manager or a developer releases the work. Please note the release may not always happen in the same week. If that's the case, the release task will be move to the following week's Sprint Board.